I just love the look of the art from that era. I didn’t know they had Twitter in WWII. I did laugh though. 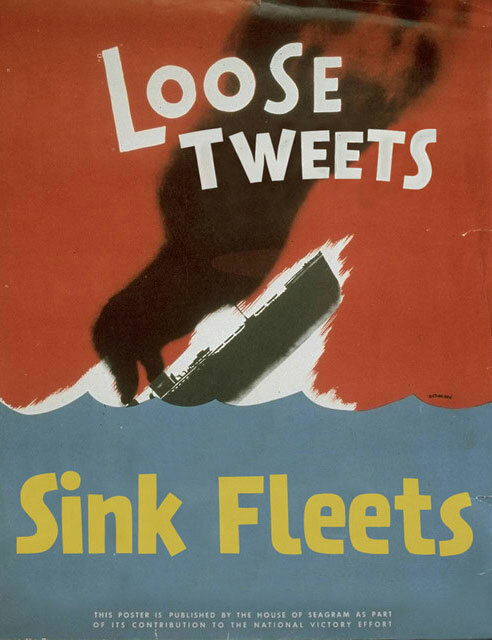 Still think “Loose lips sink friendships” is better though lol. Gotta wonder where they’re at politically, though…. “Save Freedom of Speech, Support Net Neutrality”?